Crafted with supple perforated detail, this is an ultra comfortable, everyday shoe. A twist on a classic and loaded with comfort, its wrapped EVA footbed is molded, for total step-in pleasure. Relaxed, breezy and breathable, perfect for spring. Conquer the frozen tundra - or just the walk to the subway station - in these Lucerne boots from Spring Step! 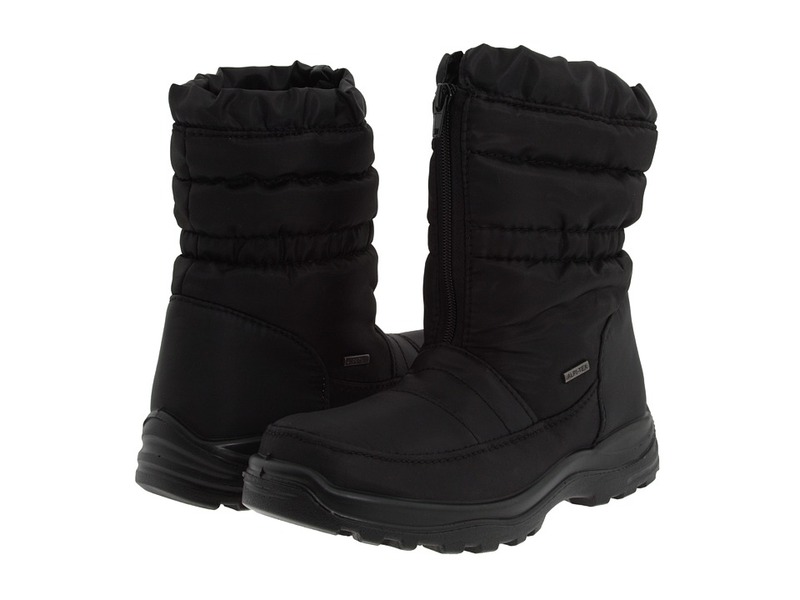 This mukluk-styled mid-calf boot has a drawstring collar and quilted nylon upper and shaft for insulation. A front zip makes for easy entry and exit. Waterproof, internal breathable Alpitex membrane keeps you dry in snow and rain. A cushioned footbed lends comfort to the semi-detached platform wedge heel. Lightly lugger outsole will give you a confident stride in the snow. Measurements: Heel Height: 1 5 8 in Weight: 14 oz Circumference: 14 1 4 in Shaft: 8 1 4 in Product measurements were taken using size 39 (US Women~s 8.5), width M. Please note that measurements may vary by size. Weight of footwear is based on a single item, not a pair. Paired with a cute pair of skinny jeans and a cozy winter sweater, the Zurich boots from Spring Step are a must-have winter staple this season. Breathable nylon upper with front lacing and side zip for a custom fit with easy on-and-off wear. Contrast stitch detailing and faux-fur collar adds textural pop and stylish appeal. Textile interior lining helps keep your feet and toes warm on those chilly days. Lug-style, synthetic outsole provides traction for extra stability while you walk. Measurements: Heel Height: 1 5 8 in Weight: 1 lb Circumference: 15 1 2 in Shaft: 9 5 8 in Product measurements were taken using size 38 (US Women~s 7.5-8), width M. Please note that measurements may vary by size. Weight of footwear is based on a single item, not a pair. Replace your old clunky clogs with the freshly styled Happy from Spring Step. Premium leather upper in a smooth or polished patent finish. Fully functional dual adjustable buckles assure a customizable instep. Removable leather-covered cushioned insole allows you to use your own orthotic. Accent stitching defines a silhouette that flows gracefully. Polyurethane outsole is lightweight, durable and shock absorbent. Measurements: Heel Height: 1 3 4 in Weight: 10 oz Platform Height: 1 2 in Product measurements were taken using size 37 (US Women~s 6.5-7), width M. Please note that measurements may vary by size. Weight of footwear is based on a single item, not a pair. Please be advised that the Birkenstock&amp#174 Narrow width accommodates both traditional narrow and medium widths. 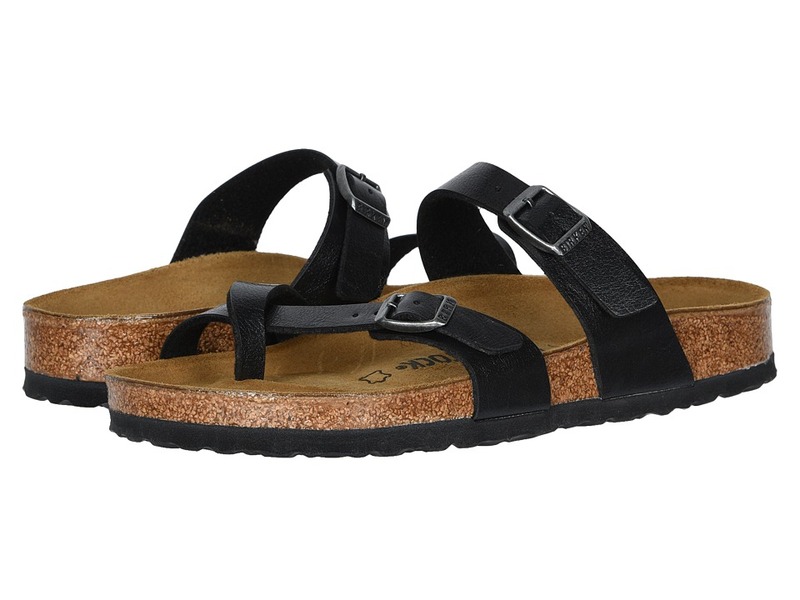 Spring and summer demand a great sandal like the Mayari from Birkenstock&amp#174. 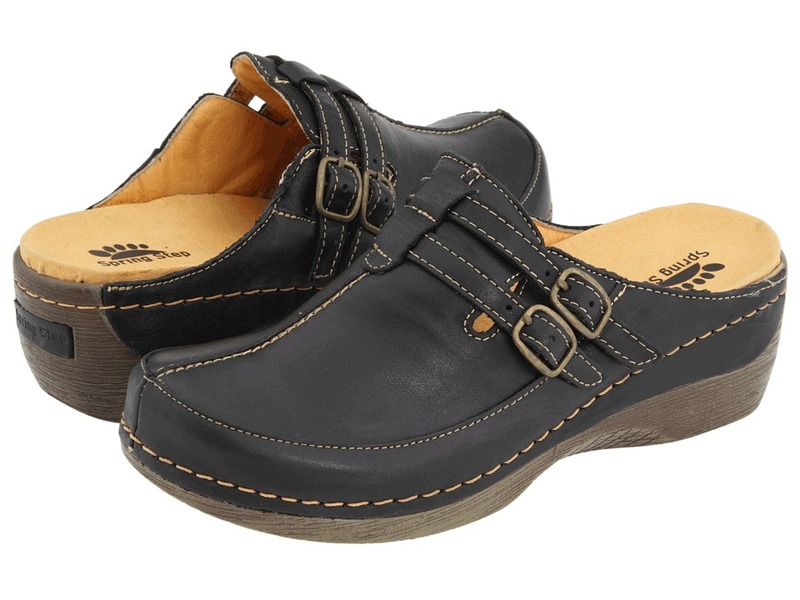 Premium leather or Birko-flor&amp#8482 upper with adjustable buckle closures to ensure easy on-and-off wear and a secure fit. Birki-flor is made of acrylic and polyamide felt fibers. See drop down color menu for materials. Anatomically correct cork footbed, crafted from cork that is 100 percent renewable and sustainable, encourages foot health. The suede lined, contoured footbed will mold to the shape of your foot creating a custom footbed that supports and cradles you each and every step. Raised toe bar is designed to encourage the natural gripping motion of your feet, exercising your legs and aiding circulation. Neutral heel profile and deep heel cup keeps the natural padding of your foot where it belongs, under the heel, distributing your body weight more evenly. Flexible EVA outsole offers lightweight, shock absorbing support with lasting durability. Dual layer Jute: top wicks away moisture while the bottom adds strength and makes resoling easy. You will enjoy your Birkenstocks for years because they can be repaired, resoled or even completely renewed. Heat Warning - Cork footbeds or EVA soles can be damaged by exposure to concentrated heat. Do not leave your footwear in direct sunlight or in closed cars on warm days. If your footwear becomes wet, allow it to air dry slowly, away from direct heat. Made in Germany. Measurements: Weight: 6 oz Product measurements were taken using size 37 (US Women~s 6-6.5), width Regular. Please note that measurements may vary by size. Weight of footwear is based on a single item, not a pair. Create a fresh, new look this spring in the chic and sophisticated Jeanette espadrilles from Spring Step&amp#174. Textile upper boasts textural appeal with its smooth ribbon accents and all-over ruching. Sling-back strap features an elastic strip at the heel to better grasp at your foot and prevent slippage. 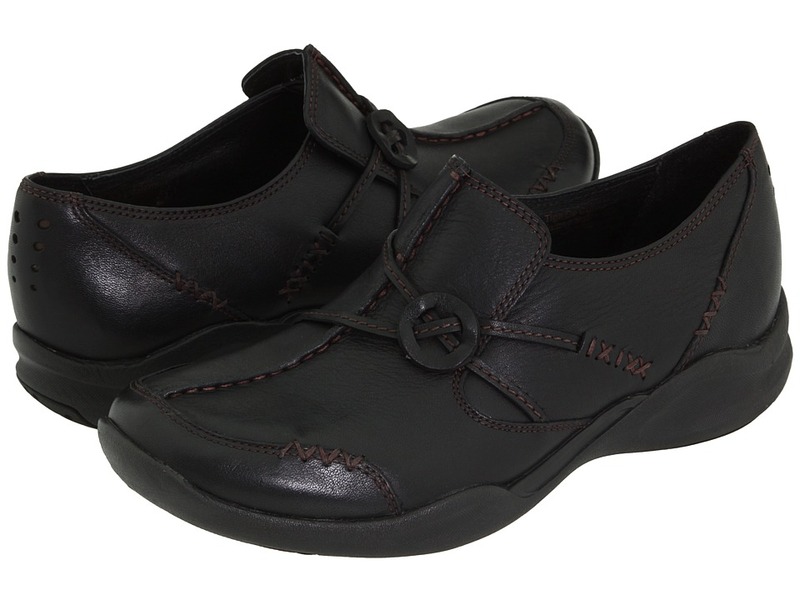 Cushy textile footbed provides all-day comfort to keep your feet feeling cozy and refreshed. Whip-stitch construction around the rope-covered wedge outsole offers dependable durability. Synthetic outsole will have you walking in leg-flattering confidence year after year. Imported. Measurements: Heel Height: 2 1 2 in Weight: 8 oz Platform Height: 1 in Product measurements were taken using size 39 (US Women~s 8.5), width M. Please note that measurements may vary by size. Weight of footwear is based on a single item, not a pair. Give your feet the warmth and comfort they crave with Fabrice boots by Flexus. 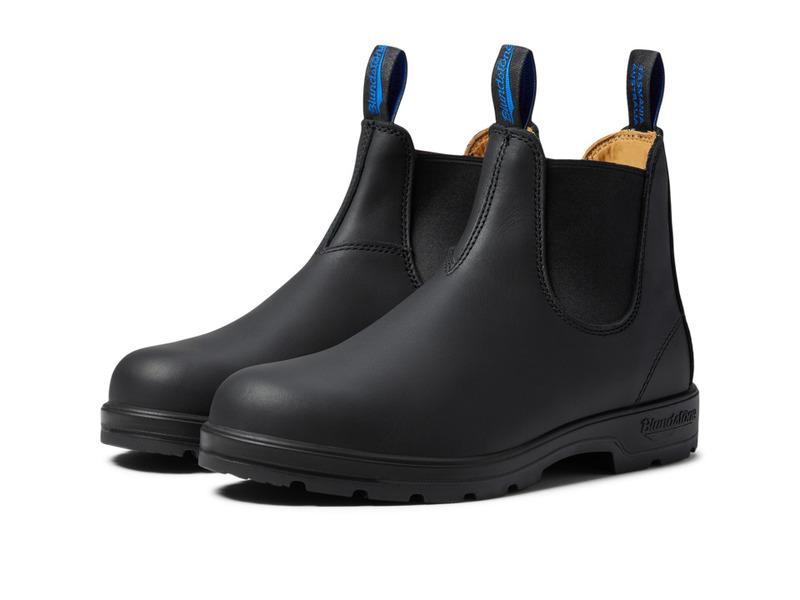 Combination leather and suede upper in a durable waterproof construction to keep feet dry. Convenient, full-length side zipper allows for easy entry and exit out of the boot in a cinch. 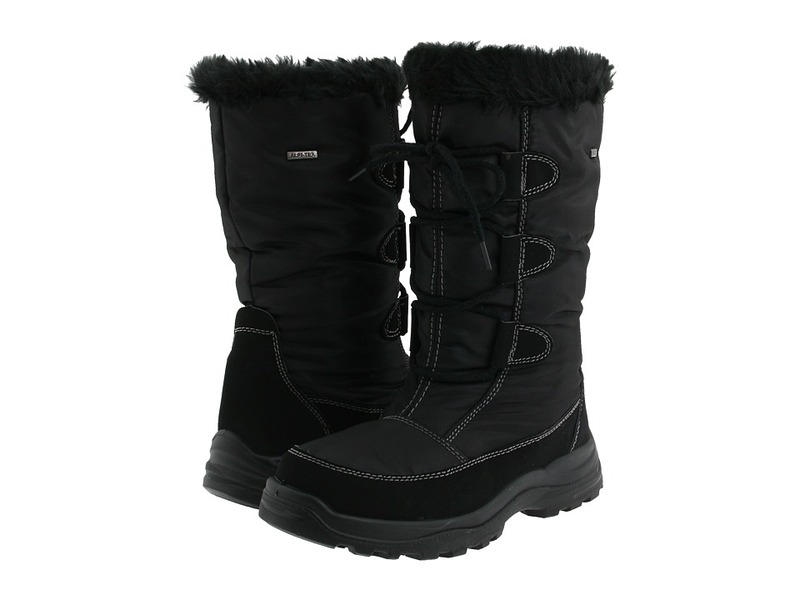 Faux fur collar and lining throughout the boot will keep your feet cozy and warm all day long. 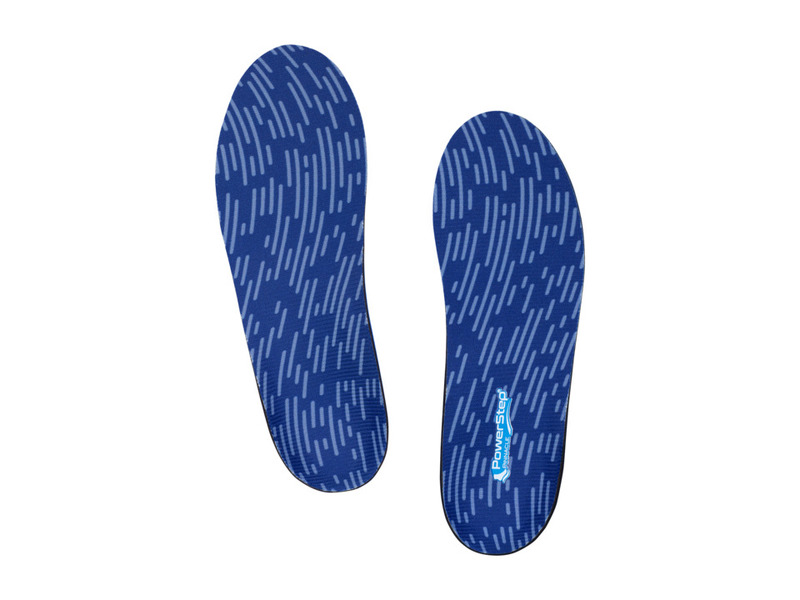 Removable insole conforms to the natural shape of your foot to give you a truly custom fit. Lugged polyurethane outsole with a shock absorber heel offers a continuously smooth ride. Imported. Measurements: Heel Height: 1 1 4 in Weight: 11 oz Circumference: 12 in Shaft: 7 in Product measurements were taken using size 37 (US Women~s 6.5-7), width M. Please note that measurements may vary by size. Weight of footwear is based on a single item, not a pair. 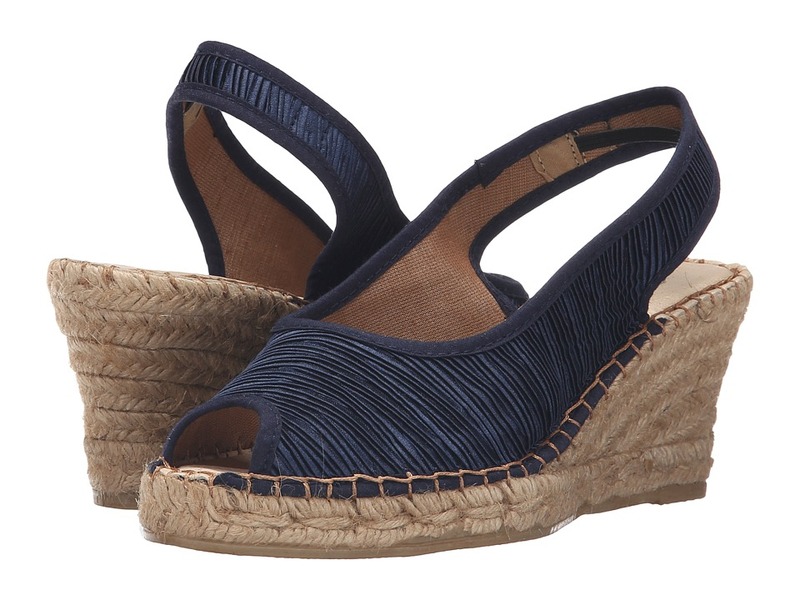 Indulge in the lasting comfort and style provided by the Orella wedge from Spring Step. 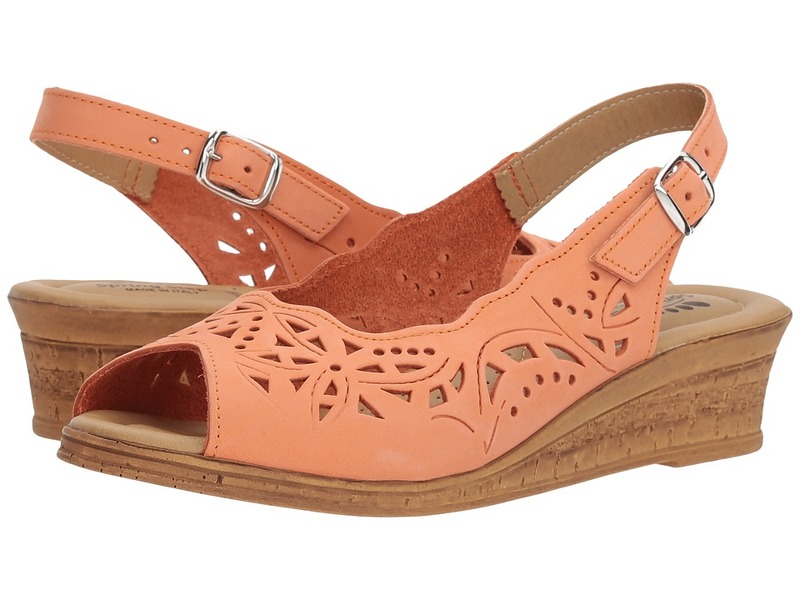 Soft leather upper with intricate laser-cut design for added style and a feminine appeal. Adjustable heel strap with buckle closure provides an easy and secure fit. 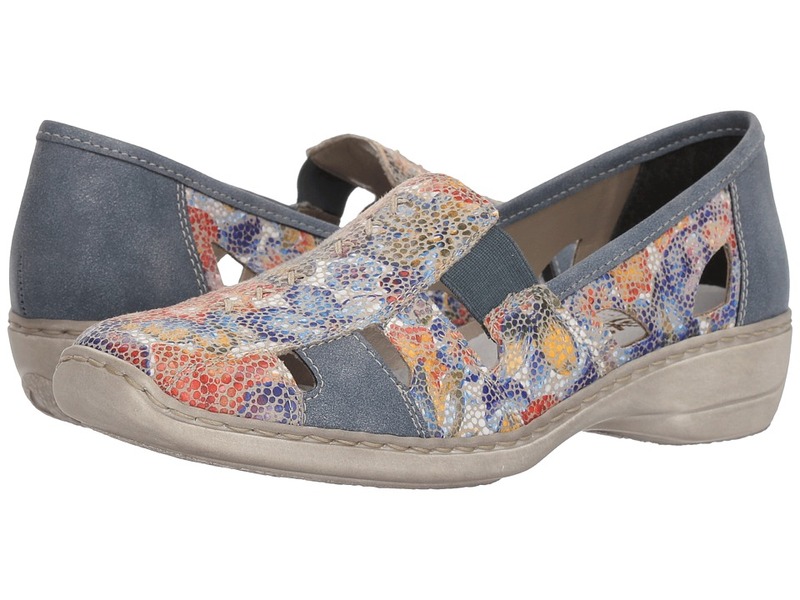 Cushioned footbed with arch pillow provides support and comfort with each step. 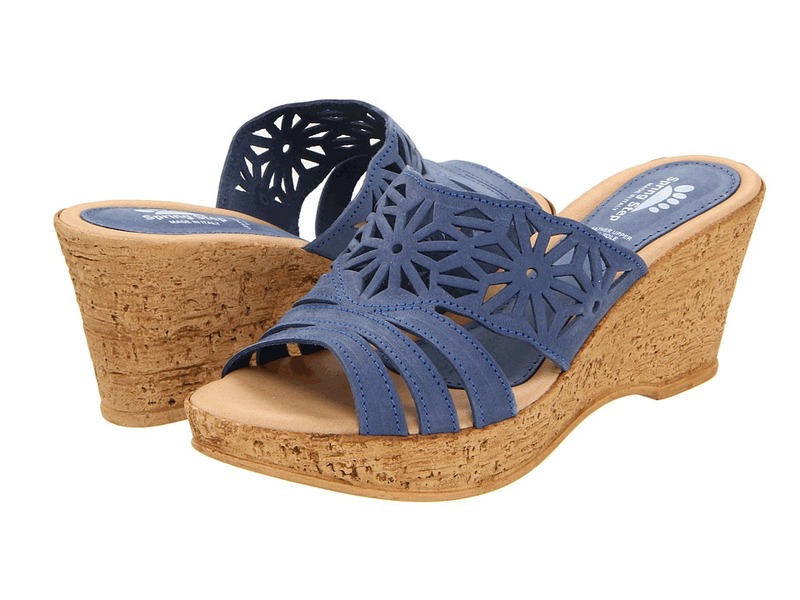 Synthetic cork wedge absorbs shock and elevates your style. Textured rubber outsole delivers durability and grip to guarantee sure-footing. Measurements: Heel Height: 1 3 4 in Weight: 6 oz Product measurements were taken using size 39 (US Women~s 8.5), width M. Please note that measurements may vary by size. Weight of footwear is based on a single item, not a pair. Bid adieu to gloomy weather and greet sunny days with the unbelievably gorgeous bohemian-esque L~Artiste by Spring Step&amp#174 Flourish sandal. Intricate leather upper with contrast stitching and an eye-catching overlay down the middle for a look like none other. 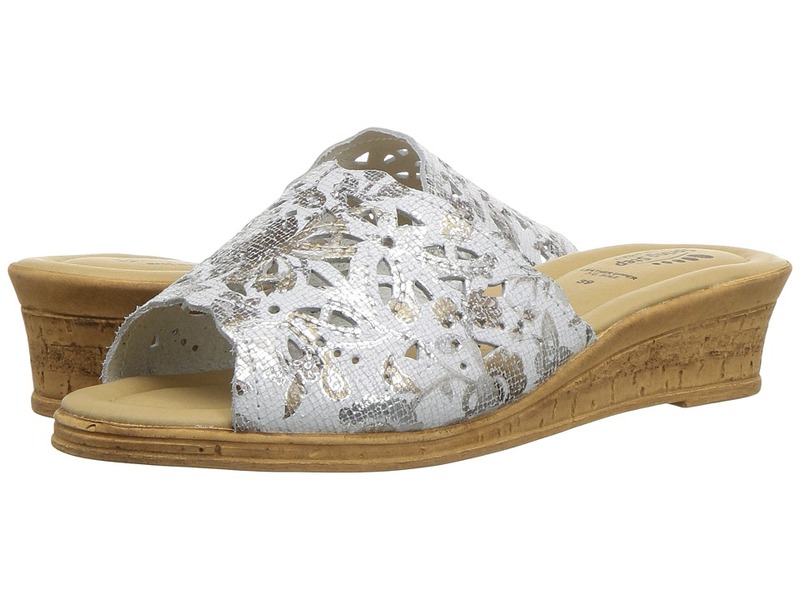 A pretty peep toe and delicate cut outs are sure to make this sandal one of your favorites. Hook-and-loop closure at the ankle makes for a personalized fit. Leather lining for next-to-skin comfort. Lightly padded footbed for added comfort. 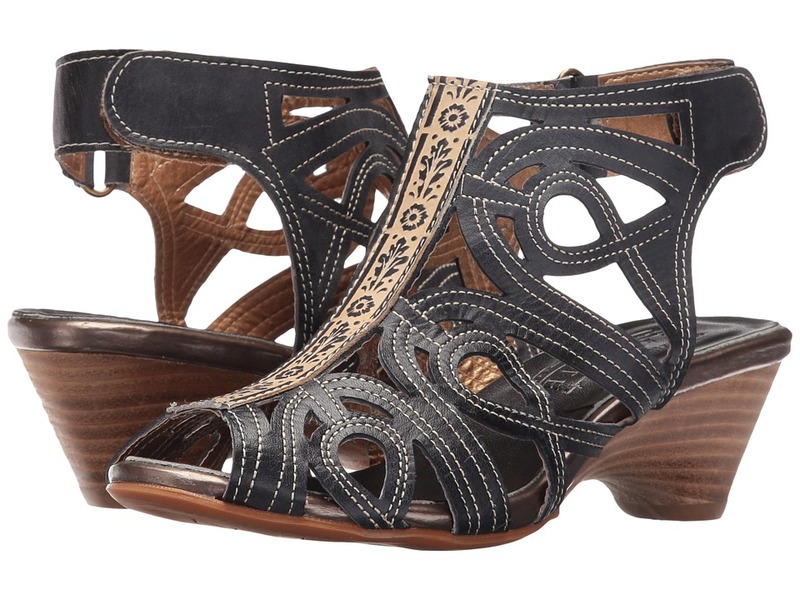 Lightweight stacked heel adds height. Durable rubber outsole. Imported. Measurements: Heel Height: 2 in Weight: 6 oz Product measurements were taken using size 39 (US Women~s 8.5), width M. Please note that measurements may vary by size. Weight of footwear is based on a single item, not a pair. If you~re looking for a sturdy boot that will take everything you can throw at it, the Blundstone BL566 can take it all. Please note that the front pull strap states this boot is part of the 560 series. It is not the 560 boot style. Waterproof leather upper. V-cut upper design reduces stitching exposure. Full Thinsulate liner for added warmth and waterproof protection. Sturdy front and back pull-on tabs. Elastic gore stretch fabric for easy on/off. Removable sheepskin lined footbed provides an excellent comfort. Shock Protection System (SPS) disperses shock at the heel strike and reduces skeletal stress on the feet, knees, and vertebrae. It also includes PORON XRD padding at heel, the world~s most advanced microcellular shock-absorbing protection for underfoot comfort. Toe spring is ergonomically engineered to reduce wearer fatigue. Steel shank ensures correct step flex point and assists with torsional stability. PU midsole is highly resistant to hydrolysis and microbial attack, and it also provides excellent supportive comfort. Thermo urethane (TPU) outsole is highly resistant to hydrolysis and microbial attack, and is slip resistant to oil, acid, and organic fat. Outsole is heat resistant to 284&amp#176F. Measurements: Heel Height: 1 1 2 in Weight: 1 lb 4 oz Circumference: 11 1 2 in Shaft: 6 in Platform Height: 3 4 in Product measurements were taken using size AU 7 (US Men~s 8, US Women~s 10), width Medium. Please note that measurements may vary by size. Weight of footwear is based on a single item, not a pair.